The following excerpt is from sociologist Arnold Arluke’s “Ethnozoology and the Future of Sociology,” published in 2003 in The International Journal of Sociology and Social Policy. The full article gives sobering proof that in the not-so-distant past, local humane organizations have teamed up with law enforcement to use pit bulls as a profiling tool for targeting dark skinned men in urban neighborhoods. For some people on the receiving end of this profiling, the effects still linger and the fear and suspicion is an everyday reality that hinders the bond between people and pets. Earlier this year, we helped helped a dark skinned-man in our Ruff Riders family arrange neuter surgery for his pit bull dog. We worked hard to build his trust because he was suspicious of “cruelty prevention” groups and their motives. He was leery of “outreach” efforts and worried they were set-ups to take away his dog and target him as a person. Most of all, he was terrified that their goal was to seize his dog and adopt it to a “nice white family in the suburbs”. Sure, we could argue that he failed to license his dog, which IS required by law, though in New York City and in most cities across America, the compliance rate is very, very low. It begged the question: “What was really going on in this situation?” That question, I’ve learned, is the first one to ask whenever any pet-related issue is occurring. Rarely is it strictly a matter of the pet; almost always, as history has shown, it is a matter of how the people in power feel about the people without it. As the animal welfare field advocates on behalf of dogs targeted by discriminatory breed laws, practices, and policies, let’s never lose sight of what played out on the streets not long ago and continues to linger today. While pit bull dogs have been demonized and sensationalized in-and-of themselves, human beings were the actual target of so much of the profiling. These “Task Forces” created an atmosphere of fear and suspicion that can still be felt today, to the detriment of the dogs, the people who love them, and the community at large. Let’s never lose sight, too, of how so-called “friends” of the dogs can be their worst enemy. Remember this next time you hear someone generalize about “thugs” and “macho status symbols” and “urban kids who get pit bulls for the wrong reasons.” Remember this when you visit the websites of national animal welfare organizations and read “the truth about pit bulls,” containing over-played descriptions of people who “want to present a tough image”. Perhaps these euphemisms say more about these organizations’ inability to evolve than they do about the individuals they claim to describe. Let’s be the generation of advocates that puts an end to this mentality. Let’s be the generation that recognizes that so much of the discrimination that appears to be against the dogs is actually discrimination against certain people who own them. As we do this, let’s make a conscious effort to ensure that we include ALL people who own pit bull dogs in our circle of compassion. Yes, I can understand why showing images of white and/or wealthy or empowered pit bull owners is a useful tool for appealing to stakeholders who harbor negative feelings toward people who don’t fit that profile. But consider the consider the consequences for the people who don’t. They, too, have pit bull dogs that are beloved members of the family and deserve our full support. When we throw groups of people under the bus — either directly or indirectly through omission — we cause harm, no matter what our intentions are. Supporting the bond between people and pets means supporting everyone, not just some. Let’s be the generation that learns from the past and makes smart, compassionate changes for the future for all people, including but not limited to those who have pit bull dogs. 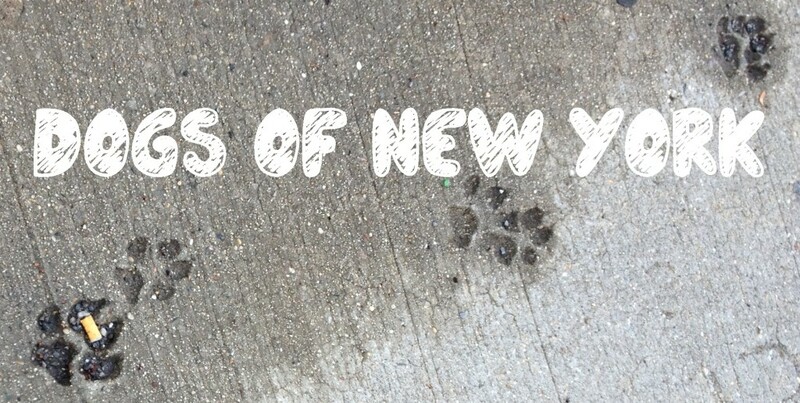 If you want to meet some of them, check out our project, Dogs of New York. I’m proud to call many of the dog owners featured my neighbors. I hope that one day they, too, will be featured prominently in campaigns that challenge discriminatory dog laws.